Techniques have been refined, and special moulds have been created to produce the new Lyngby Curve Vase, allowing us to meet our high demands for precision and sublime craftsmanship. The elegant, classical design originates from our archives from the 1960s and is a tribute both to the porcelain and to beautiful flowers. The eye is seduced by the light dancing on the ribbing and the matt surface letting them form enticing shadows along the new Lyngby Curve vase from Lyngby Porcelæn. Even the hands are drawn to the tactile, silky smooth surface, which is almost impossible to resist. While the matt surface relfects today’s trends, the form is far from new. 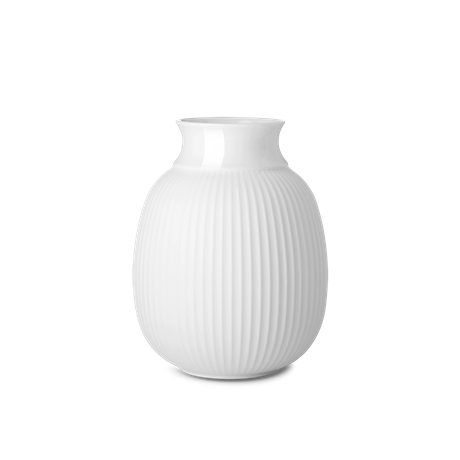 The vase is inspired by the old forms of 1936 – form 150-2, to be precise. With its organic curves, Lyngby Curve Vase is perfect in a still life with straighter lines, where it will be a beautiful, welcome contrast. 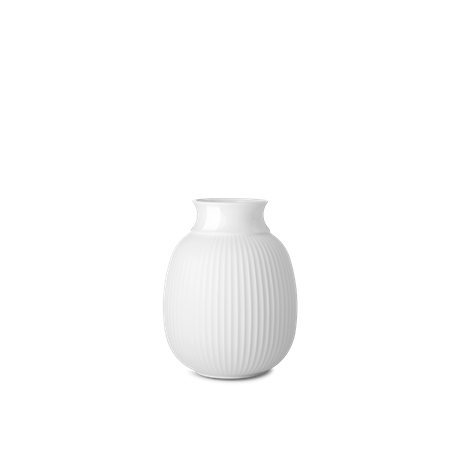 But other items in the Lyngby Porcelæn collection can also be combined with the new vase, which with its matt, glazed surface combines two expressions in a single design, elegantly blending into the rest of the collection.